offered to produce her show and bring it to Broadway. 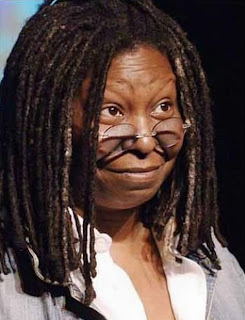 Retitled Whoopi Goldberg, the show opened to admiring reviews on October 24, 1984. A videotaped performance was aired on HBO the following year. One of Goldberg’s new fans was Steven Spielberg, who hired her to star in his film The Color Purple (1985). Goldberg’s quiet, subtle performance won her a Golden Globe Award and an Oscar nomination. The movie, and by extension Goldberg, were criticized by many African Americans, who took exception with the movie’s unfiattering depiction of its black male characters. In 1986, Goldberg used her newfound fame to relieve the plight of the homeless. 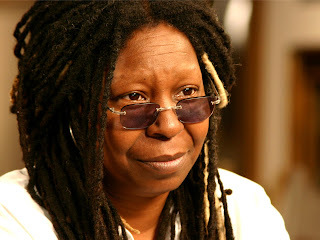 With Billy Crystal and Robin Williams, she began hosting an annual comedy benefit concert, Comic Relief. Goldberg has campaigned for many other social causes, including abortion rights and services for people with AIDS. Although pronounced a new star after The Color Purple, Goldberg had trouble finding good parts. She made a string of movies—including Jumpin’ Jack Flash (1986), Burglar (1987), and Fatal Beauty (1987)—in which her performance far outshone the mediocre material she was given. After appearing in several commercial failures, she was written off by many Hollywood insiders. Goldberg proved them wrong with Ghost (1990), in which she played a supporting comic role as a phony psychic. The film became a surprise hit and won Goldberg a best supporting actress Oscar. She became the first African-American actress since HATTIE MCDANIEL to receive an Academy Award. Her stardom confirmed, Goldberg threw herself into a wide variety of projects. On television, she appeared in Bagdad Cafe (1990), a shortlived situation comedy, and became a regular cast member of Star Trek: The Next Generation. 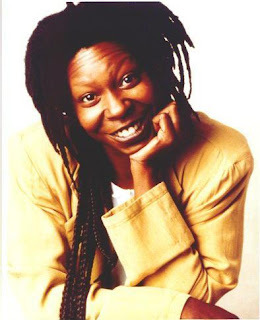 In 1992, she became the host of The Whoopi Goldberg Show, a half-hour late-night talk show that featured one-on-one conversations between Goldberg and her guest. The show was soon canceled due to poor ratings. In film, Goldberg scored a critical success with The Long Walk Home (1990), a drama set during the Montgomery, Alabama, bus boycott of the 1950s. Two years later, she again proved her ability to attract a wide audience with Sister Act (1992), in which she played a nightclub singer masquerading as a nun. Goldberg earned $8 million for its poorly received sequel, Sister Act II (1993). While filming Made in America (1993), Goldberg began a widely publicized romance with her white costar, Ted Danson. To satirize the hate mail the couple was receiving, Goldberg wrote a vulgar comedy routine that Danson delivered in blackface at a Friars Club “roast,” a comic tribute to one of this entertainment organization’s members. Few found the performance amusing. Goldberg and Danson were slammed by offended critics. 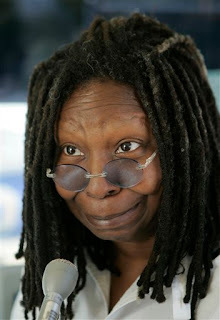 Goldberg, Whoopi. Book. New York: Rob Weisbach Books, 1997. Parrish, James Robert. 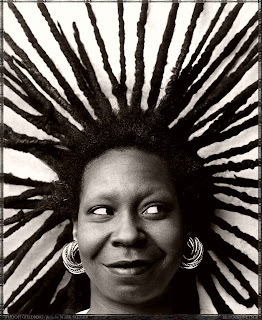 Whoopi Goldberg: Her Journey from Poverty to Megastardom. New York: Birch Lane Books, 1997. The Color Purple (1985). Warner Home Video, DVD/VHS, 1997/1999. Ghost (1990). Paramount, VHS, 2001. Sister Act (1992). Touchstone Video, VHS, 1996.